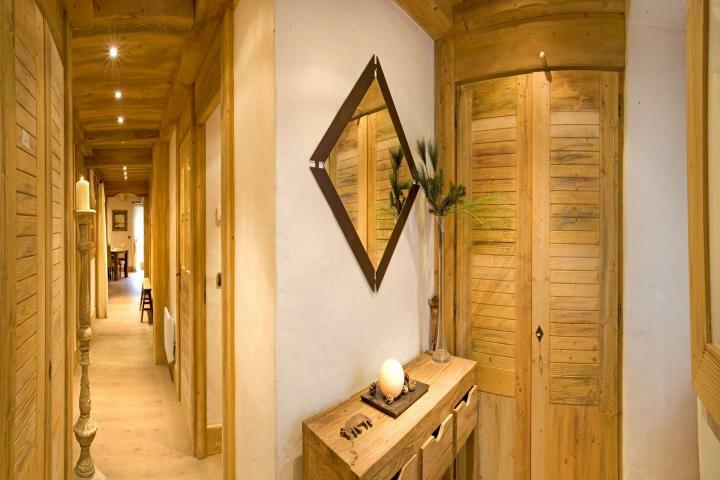 Angelina is one of only four apartments in this beautifully constructed chalet, and its ideal position means all of the shops, restaurants and bars Chamonix has to offer are on your doorstep. 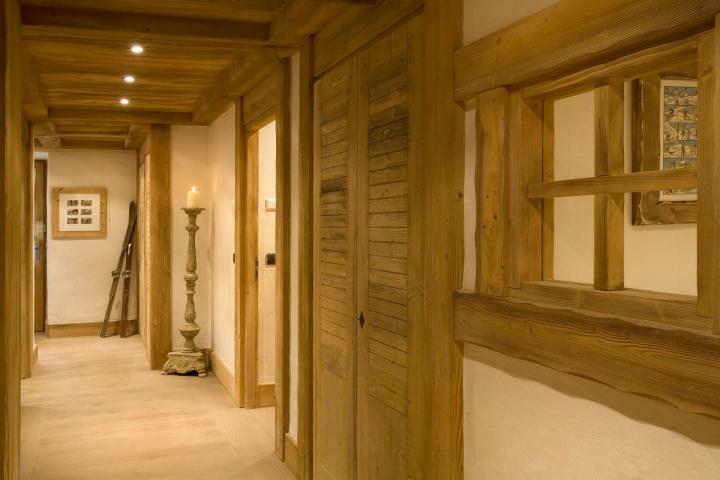 When stepping into the apartment you are greeted by a warm and cosy atmosphere. 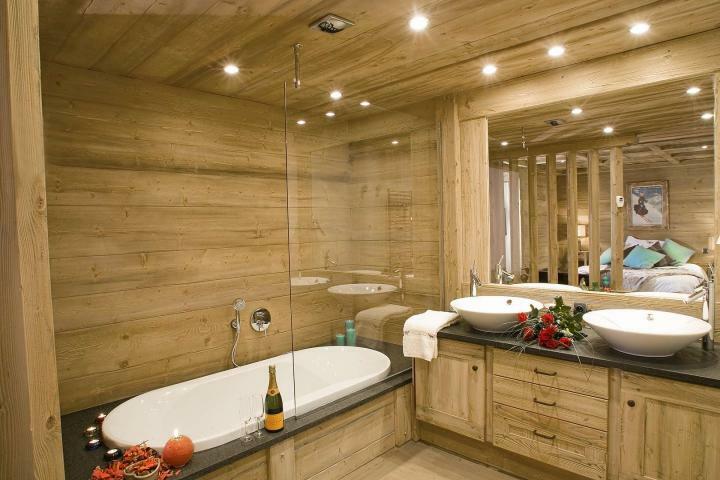 The use of quality natural materials throughout is well balanced with modern features and light airy fabrics. Everything is in harmony to create this real home away from home. 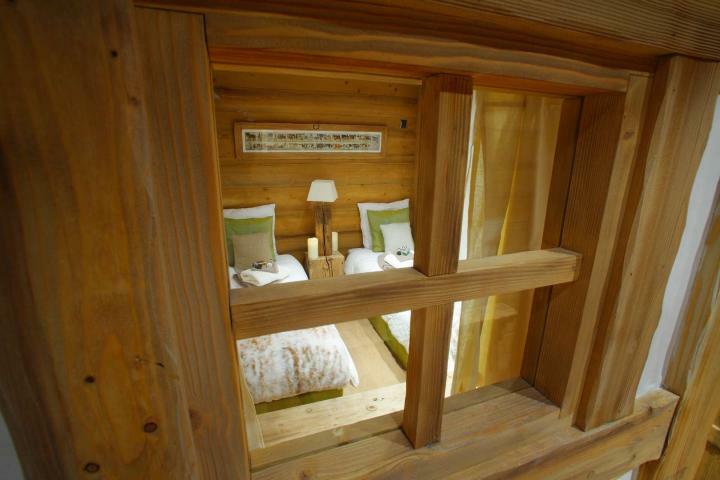 The three bedrooms can sleep up to six people in queen size double or twin beds. The drawing room is the main focus of the interior with its glowing central fireplace, sumptuous settees and large plasma screen TV. 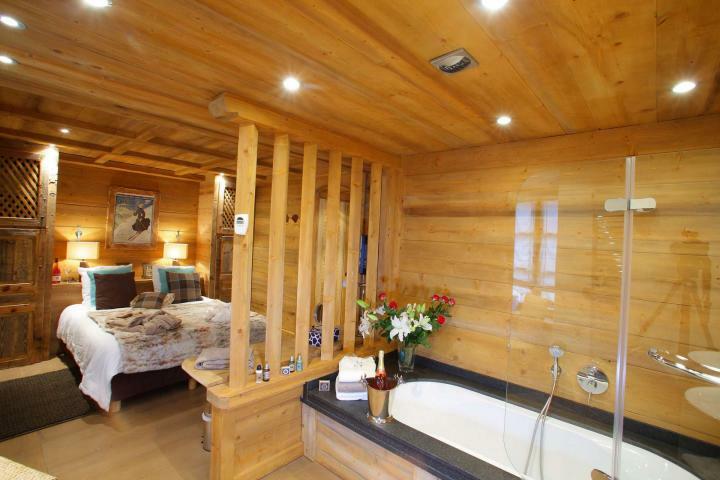 The 3rd bedroom is ideal for children because of its slightly smaller size. 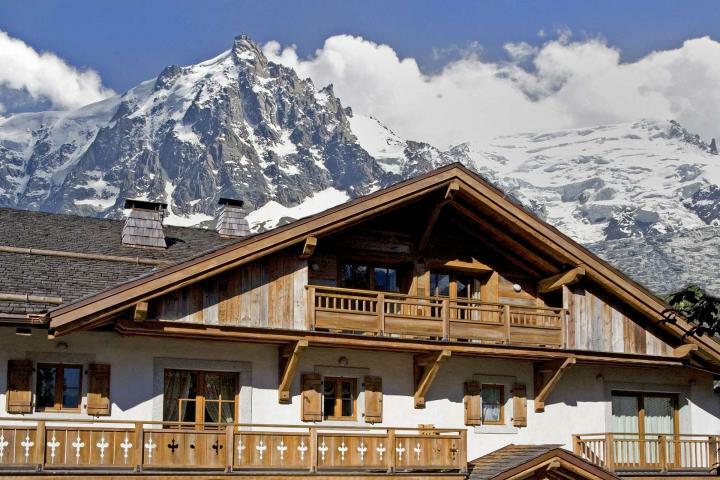 The chef can serve champagne and canapés on the balcony as you watch the last of the suns rays settle over the Mont Blanc and Chamonix prepares itself for another evening of winter fun. Majestic Mont-Blanc, one of the world’s natural wonders dominates the area. 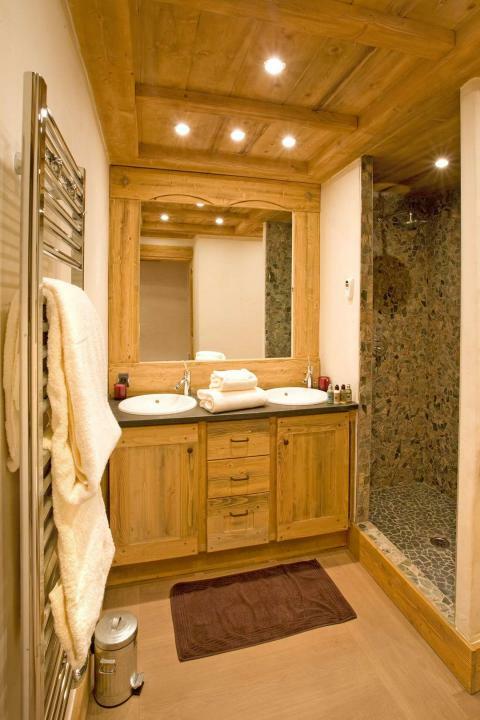 Chamonix is an ancient mountain town with a stylish atmosphere and a blend of French charm, varied skiing and modern facilities that few other alpine resorts can match. People return time after time and always discover something new. The town of Chamonix with its pedestrianised cobbled streets and squares, beautiful buildings and fast running river has an excellent choice of quality shops, boutiques, cafes, bars, restaurants, clubs, casino and a Saturday market that should not be missed. The Chamonix Valley is consistently rated as one of the top ten ski areas in the world and a must by all ski enthusiasts. 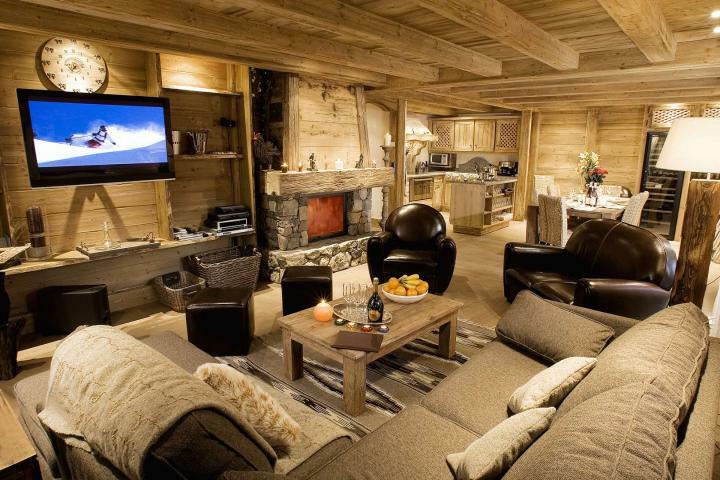 Our exclusive collection of luxury ski chalets in Chamonix are catered and self-catered available, for the best luxury ski holidays. The legendary skiing caters for every taste and ability. Some 90% of the ski area is above 2000m with an excellent snow record and a long season from December to May. It is the home of the legendary 23 kilometre Vallee Blanche and the Kandahar World Cup downhill runs. The lift pass which, covers 750km of pisted skiing includes the elegant resort of Courmayeur in Italy that is a short hop through the Mont-Blanc tunnel. The Chamonix Valley is approximately 20 kilometers long with the Aiguilles Rouges mountain range on the north side, and the Mont-Blanc mountain range on the south side, which includes Mont Blanc itself, the highest peak in the European Alps at 4808 meters.The highest lift in the valley is the Aiguille De Midi cablecar which brings you to anincredible 3842 meters elevation. The top station of the Aiguille De Midi cablecar has a spectacular panorama of Chamonix, the Mont Blanc, the Mer De Glace glacier, the surrounding area, and is the access point to high elevation skiing and climbing routes in the Mont-Blanc mountain range, including the world famous Vallée Blanche. The town of Chamonix with its pedestrianised cobbled streets and squares, beautiful buildings and fast running river has an excellent choice of quality shops, boutiques, cafes, bars, restaurants, clubs, casino and a Saturday market that should not be missed. 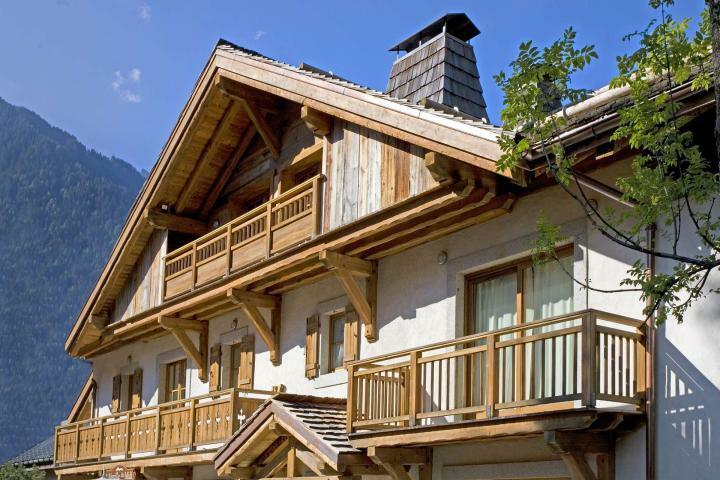 Chamonix offers a wide range of outdoor activities; from skiing and snowboarding to hiking and biking, and much more. Chamonix is also a mecca for mountaineering and climbing. 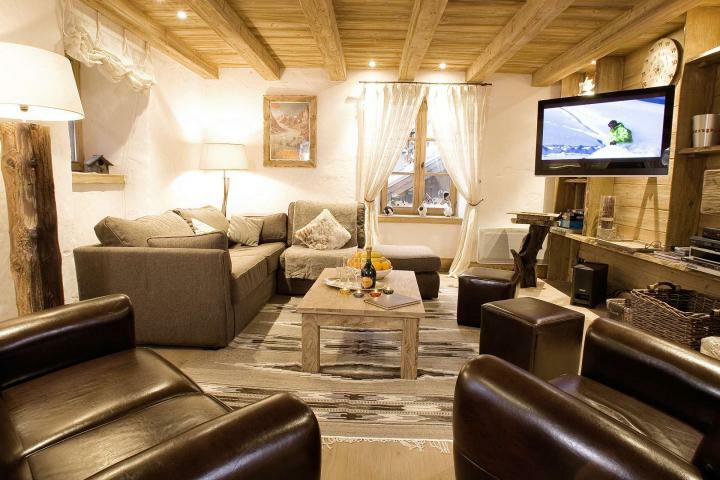 Chamonix has an attractive, bustling old town centre, and the smaller, quieter ski villages of Argentiere, Les Houches and Vallorcine offer a different style of resort life. Around 5pm, the après ski starts with many options, such as the Chambre Neuf Bar, the Jekyll and Hyde pub, Bar du Moulin, La Cantina and the bar d’UP. 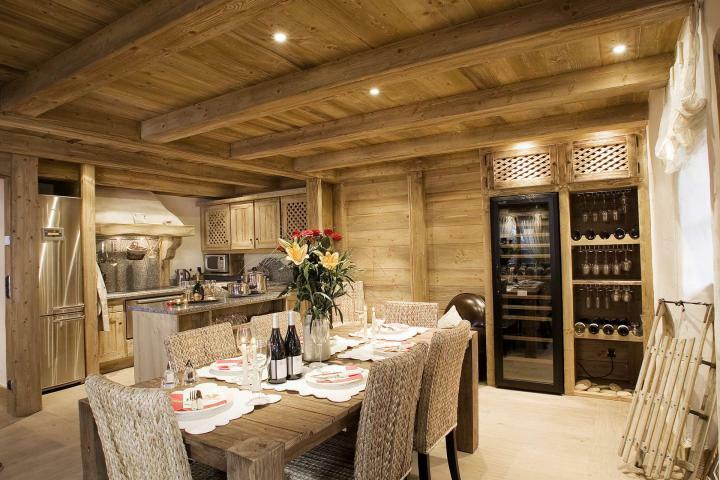 There are also great restaurants in Chamonix. You should not miss to have dinner in the L'Eden for traditional French cuisine, and L'Impossible. 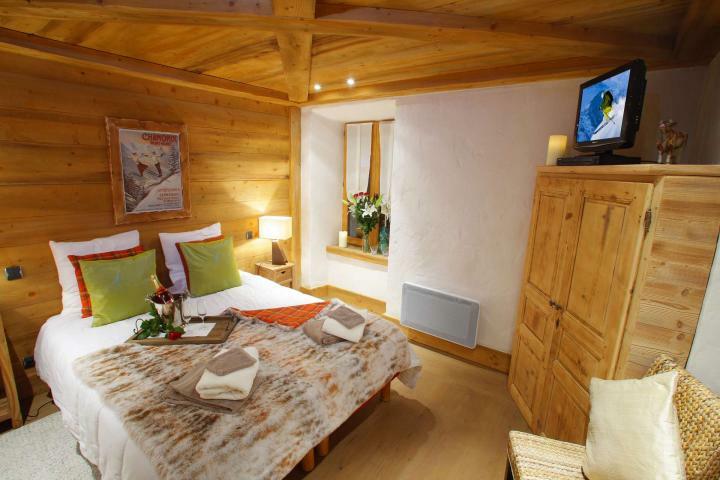 Angelina is situated in an enviable position next to the Aiguille du Midi cable car in Chamonix village.